The order in which games were released takes the highest priority. Games won on SteamGifts take second highest priority. I will somewhat follow alphabetical order otherwise, but it’s not a rule. I mostly play what I feel like. 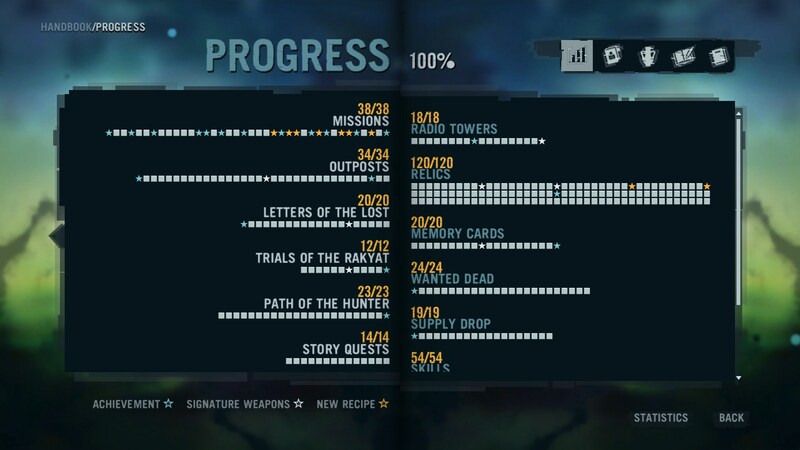 I will get all achievements before moving on to another game. ★★☆☆☆ A not so great game, but still somewhat enjoyable. ★★★☆☆ A mediocre game, it has good and bad things, but is mostly enjoyable. ★★★★☆ A good game with some minor flaws. ★★★★★ A truly enjoyable game, which doesn’t mean it’s perfect though. This is a free teaser/demo for Life is Strange 2. I plays and feels very much like Lis and Lis:BtS, and is again really well made. You play as a little boy who imagines himself as a superhero. As a fan of Life is Strange I obviously liked it. TL;DR Plays and feels very much like Lis and Lis:BtP, recommended for fans of the Life is Strange franchise. I’m a big fan of Life is Strange and enjoyed Life is Strange: Before the Storm, but I don’t think it’s as good as the former. This game is less worked out and shorter, and even graphic wise it doesn’t look as good. 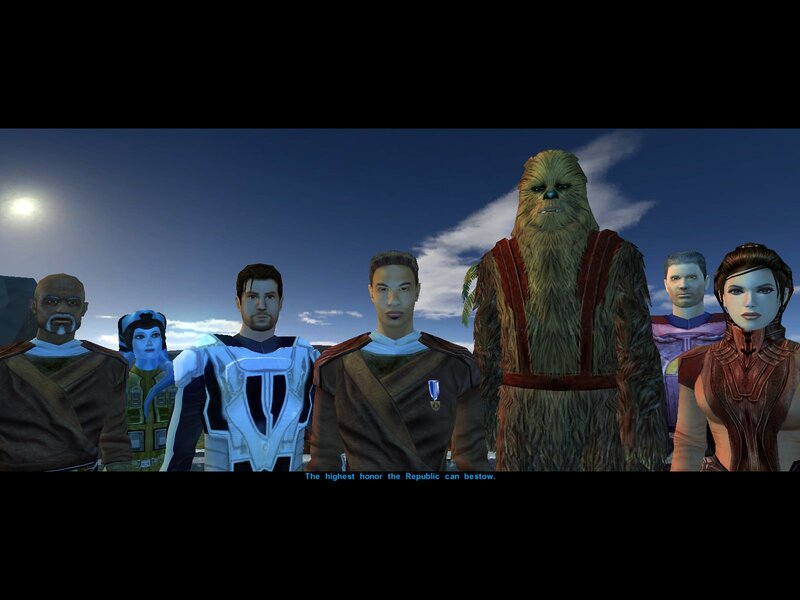 Still they did a good job, and the story and characters are the real strength of this game. Chloe’s backtalk ability did seemed a bit forced, and feels like it’s just there to add a special “ability” to the game, which felt quite unnecessary. TL;DR Good prequel to Life is Strange, less worked out than the former, but with a strong story and characters. This is a free game and a (spiritual?) prequel for “The Norwood Suite”. I wanted to play this to see if I would like “The Norwood Suite” which seemed like an interesting game. And I’m glad I did, because I really didn’t like this one. This game is a surrealistic (which I would normally like), amateurishly made, indie walking simulator. The game world is very crude, which I can kinda forgive since it’s an indie game, but the dialogue is just simply really weird and plain boring, and the game doesn’t have much else than it’s dialogue and game world. Again I’m baffled this game has so many positive reviews, probably simply because it’s free and isn’t just shovelware or an asset flip. TL;DR Surrealistic (which I would normally like), amateurishly made, indie walking simulator with a crude game world and weird/boring dialogue. Not recommended to anyone but fans of “The Norwood Suite”. I bought this game a long time ago when it was on sale because my real life friends seemed to really enjoy it, then it got buried in my backlog for a really long time and I never really intended on playing it anymore. Until now where I was looking to play a FPS again. I had played Far Cry 3: Blood Dragon before which I did like and was the main reason for giving this game another chance. I’ve never really enjoyed (but I can tolerate it) the FarCry gameplay where all enemies just storm at you, and the healing system always annoyed me too. Overall the gameplay is ok-ish but not great in my opinion. The story starts out realistic-ish but definitely becomes weirder and more unrealistic as you progress. I usually prefer zany stories, but this game tends to want to seem realistic, but just has so many unbelievable plot holes that it breaks that immersion. This game also does what I’ve come to expect from Assassin’s Creed games which is to fill their games with an excessive amount of meaningless collectibles to fill up their game. This collectible grind was the last nail in the coffin for me, and really make me not enjoy the game much. Hunting animals with the bow was the worst, seeing how many arrows these animals could take and how horrible it is to use the bow. I’m honestly surprised how well this game was received, even disregarding the collectible grind. The story, but also decisions that characters make, is very unbelievable (and I’m not even talking about the mystical stuff which was fine for me), the gameplay is pretty meh and the collectible grind is ridiculous. This will be definitely be the last FarCry game I’ll ever touch. TL;DR Unbelievable story and character choices, meh gameplay and a ridiculous amount of collectible grind. I had been wanting to play this for a long time and finally bought it when it dropped to 5€ and I’m glad I waited. This game was overhyped for me, the game was good but not great , certainly not as great as most people try to make it out. The story is ok but nothing amazing. The game is fairly well made for the most part, though I did encounter some bugs. What I missed was outside the main story there’s very little to do or find in the open world and you have to backtrack a lot throughout the game. TL;DR A decent walking simulator, but not as great as most people make it out to be. Definitely not worth 20€, buy in a sale. Tales of Monkey Island is the last entry in the Monkey Island saga and probably also the worst one. It’s still a decent game though don’t get me wrong, they just were never able to capture the magic of those first two games again. I actually liked it better this time around than the first time I played it. The game plays very similar to their Sam & Max games, which were developed around the same time. I think what bothers me is the simplified interface where clicking on something does only one thing instead of being able to look, take, talk or interact with the object, which makes it easier in a way but it also makes it feel more simplified and dumb. Some of the puzzles are pretty well thought out, yet they might be a bit to obscure for some from time to time. TL;DR Decent point and click adventure. Well thought out puzzles yet a bit to obscure at times for some maybe. 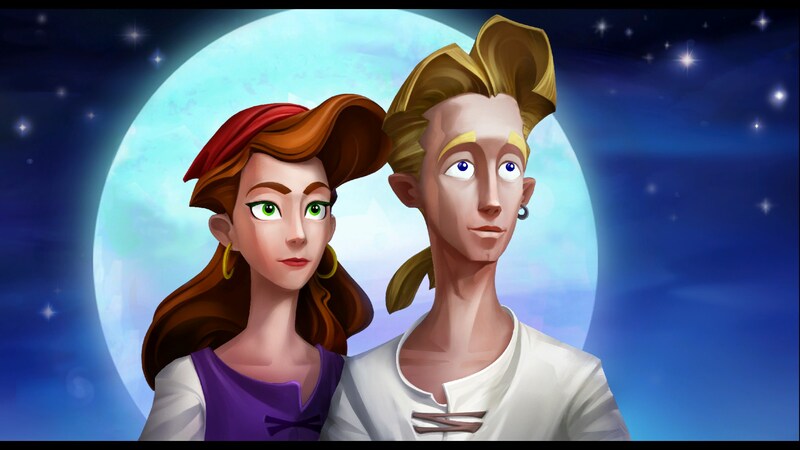 Probably the best Monkey Island game and even though it’s another replay I enjoyed it more than the first one. I never did like the teleporting around in the final area, it makes it really frustrating to move around and get things done (I don’t expect you to understand this if you haven’t played the game and I don’t want to spoil it if you haven’t). Never liked how the game ended either, it was always a bit too far out there for me and kind of broke the story. Again some of the puzzles are kind of far fetched. Despite these minor flaws it’s an amazing and a hilarious point and click adventure game. TL;DR Great remake of a classic point and click adventure. Again some of the puzzles are a bit unlogical to figure out. One of my favorite point and click adventure games and the special editions of Monkey Island 1 & 2 are what game remakes should look like. Though I have to admit replaying point and click adventure games is a bit boring and I won’t be doing it again anytime soon, which is the only reason I gave it three stars. Some of the puzzles also have a bit of moon logic to them as most Tim Schafer games do. TL;DR Great remake of a classic point and click adventure. Some of the puzzles are a bit unlogical to figure out. I had been trying to win this game forever and I really enjoyed it. It’s a story driven game where you’re trying to figure out a terrorist attack by looking into their personal online information and drawing your own conclusions by submitting the data you think is relevant. The game is properly named since it’s underlying message is in a similar vain to that of Orwell’s “Nineteen Eighty-Four”. I liked the art style as well. Can’t really say I have much bad to say about the game except that conversations can’t be skipped and if you’re replaying the game for achievements these conversations can take quite a while to complete. TL;DR Recommended for those who like a good story and reading, with a decent underlying message. The Good: The story is pretty good so I understand why this game gets a lot of love. Sadly reading the wiki to avoid some game bugs spoiled a major plot point for me. The Bad: The combat is really bad and tends to lean towards the difficult side which makes the game unfun to play at times. Difficulty seems to spike up and down at random. The Ugly: Several bugs that break minor things in the game, these seem like things that could easily be fixed but no one bothered. Also the card game feels like it’s rigged (in favor of the opponent) instead of being truly randomized. Overall I liked the game, though it tends to be a bit long and combat can be quite annoying as well as trying to avoid certain dialogue/quest breaking bugs. TL;DR Good story, but bad and antiquated gameplay, with several bugs that can break some minor things. Don’t read the wiki at all if you don’t want to spoil the story.